Saturated hydraulic conductivity (Ks) describes the water movement through saturated porous media. The hydraulic conductivity of streambed varies spatially owing to the variations in sediment distribution profiles all along the course of the stream. 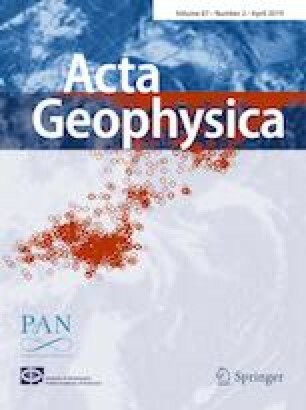 The artificial intelligence (AI) based spatial modeling schemes were instituted and tested to predict the spatial patterns of streambed hydraulic conductivity. The geographical coordinates (i.e., latitude and longitude) of the sampled locations from where the in situ hydraulic conductivity measurements were determined were used as model inputs to predict streambed Ks over spatial scale using artificial neural network (ANN), adaptive neuro-fuzzy inference system (ANFIS) and support vector machine (SVM) paradigms. The statistical measures computed by using the actual versus predicted streambed Ks values of individual models were comparatively evaluated. The AI-based spatial models provided superior spatial Ks prediction efficiencies with respect to both the strategies/schemes considered. The model efficiencies of spatial modeling scheme 1 (i.e., Strategy 1) were better compared to Strategy 2 due to the incorporation of more number of sampling points for model training. For instance, the SVM model with NSE = 0.941 (Strategy 1) and NSE = 0.895 (Strategy 2) were the best among all the models for 2016 data. Based on the scatter plots and Taylor diagrams plotted, the SVM model predictions were found to be much efficient even though, the ANFIS predictions were less biased. Although ANN and ANFIS models provided a satisfactory level of predictions, the SVM model provided virtuous streambed Ks patterns owing to its inherent capability to adapt to input data that are non-monotone and nonlinearly separable. The tuning of SVM parameters via 3D grid search was responsible for higher efficiencies of SVM models.